ENFEN, the Peruvian institution researching El Nino, maintains its projection of weak to moderate warm conditions off the coast of Peru for the next two months. A further forecast would require a “crystal ball”, Grinia Avalos, climatology director at Senamhi — the National Service of Meteorology researching along with ENFEN — told Undercurrent News. “We speak about an El Nino off the coast of Peru for the next two months still evolving, that started by end of April and with several consecutive weeks of warm conditions,” said Avalos. Beyond these two months, forecasts are based on probabilities — 70% likelihood of the event occurring during Northern Hemisphere summer and 80% for fall and winter, according to NOAA’s climate prediction center (NCEP). Although the intensity of El Nino by year’s end cannot be predicted yet, ENFEN said there are not strong, solid elements so far to determine whether El Nino will be extraordinary by the end of 2014. “But we cannot rule out a major event 100%,” Avalos said. Unlike NOAA, which focuses on the central Pacific area (3.4 region), ENFEN gathers data of El Nino 1+2 region to determine water and air temperatures in the coast of Peru. 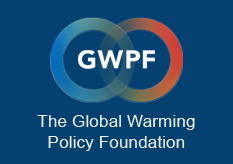 In its latest report — based on data gathered during the first two weeks of June — ENFEN did not include the latest developments of last week, whena sudden jump in water temperaturesprompted expectations of an upward warming trend that would confirm the development of El Nino. On June 20, sea surface temperature anomalies in the Nino 3.4 region showed the highest value of the year at +0.9ºC. This drastic increase of water temperatures in the equatorial Pacific Ocean encouraged projections of an upward warming trend confirming the development of El Nino, according to the oceanic scientist Luis Icochea. “This is a big jump in temperature; from now on waters will hardly be cooled, the event is irreversible,” Icochea told Undercurrent last week. These sea surface anomalies could reach the Peruvian coast or not, Avalos explained, since there are several possible scenarios for El Nino in the Eastern Pacific. 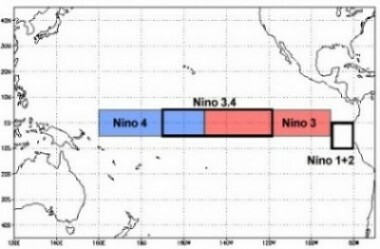 “It is very likely a scenario in which El Nino develops in the central Pacific rather than in the eastern Pacific, where the probability is lower,” Avalos said. Next week ENFEN’s researchers will meet to discuss the developments of the last 15 days and, by the end of the week, the latest update of the research body’s report is expected to be released.